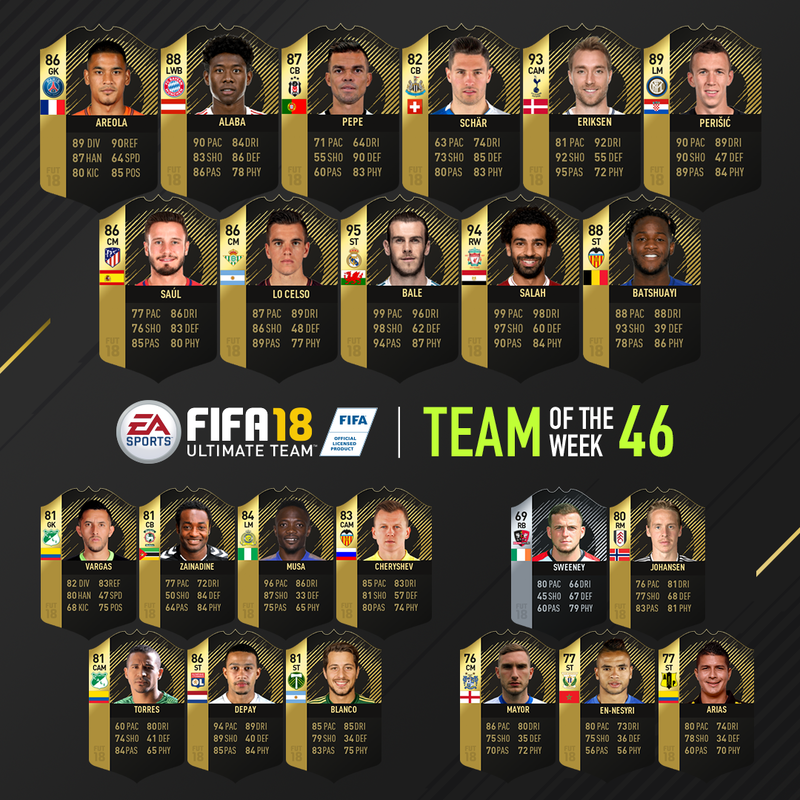 Gareth Bale and Mohamed Salah headline the latest FIFA 18 Ultimate Team of the Week after their international heroics. Bale earns a 95-rating after enjoying a truly superb display against the Republic of Ireland in the UEFA Nations League, during which he scored a truly stunning long-range goal, inspiring his side to a thumping 4-1 win. Salah was also among the goals, scoring twice for Egypt as they demolished Niger, winning 6-0 in an Africa Cup of Nations qualifier. The Liverpool star is subsequently given a 94 rating. Bale was unable to find the net against Denmark, however, with Christian Eriksen at the centre of his side's 2-0 win, scoring both goals and earning himself a boost to a 93 rating in the process. Another player to score a brace, Michy Batshuayi, also earns an upgrade after his two goals in the 4-0 besting of Scotland. FIFA 18 favourite Ahmed Musa also earns an upgrade after scoring in Nigeria's 3-0 win over Seychelles, while Memphis Depay is also given a boost after scoring both goals in Netherlands' 2-1 victory over Peru.